The Artisan 3D radar system was fitted in late September. The Type 997 Artisan 3D (Advanced Radar Target Indication Situational Awareness and Navigation) is a medium range air and surface surveillance 3D radar developed and built by BAE Systems. The new system is currently installed on HMS Ocean and is being fitted to the Type 23 frigates. It will also equip the under construction and in future the Type 26 Frigates. The Type 997 has a range of 200 km and is reportedly capable of tracking more than 800 or 900 targets at once. 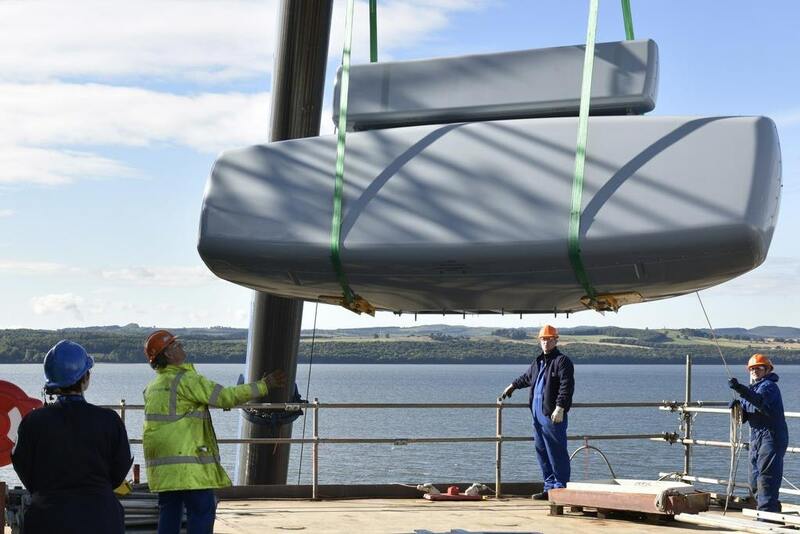 BAE Systems state that Artisan is capable of tracking targets the size of small birds or tennis balls travelling at Mach 3 with “unrivalled detection performance and world beating electronic protection measures against even the most complex jammers”. The Queen Elizabeth class vessels will feature two ship’s radars, the BAE Systems S1850M, the same as fitted to the Type 45 destroyers for long range wide area search and Artisan 3D. The S1850M is a long range passive electronically scanned array radar. The system is advertised as being capable of fully automatic detection, track initiation and tracking of up to 1,000 targets at a range of 400 kilometres. It is also claimed to be highly capable of detecting stealth targets and able to detect and track outer atmosphere objects at short range, making it capable of forming part of a Theatre Ballistic Missile Defence system. The ships crew move aboard in May 2016, sea trials begin in August 2016 and the supercarrier moves to Portsmouth in 2017.